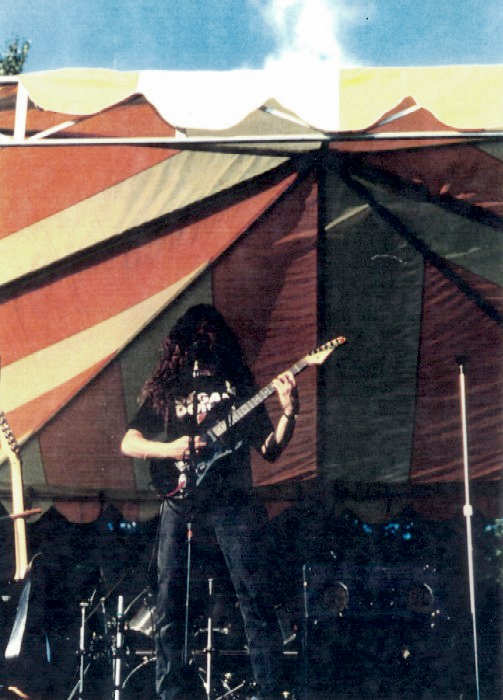 Advisary played two gigs with Spiritual Dream, one at The Moosehead Cafe, June 5th 1993, and Summer Fest 93 at Selwood River Front Park, July 25th 1993. They were a great live band and a great group of Musicians. Attached is a picture of Josh Slamp from Summer Fest 93. If you notice its a jpg file:) Band photo for the top of the page to come soon. Some of the other Pacific Northwest music groups represented in members of this group include: Slampsquatch, Mind Disciple, and many other NW bands.